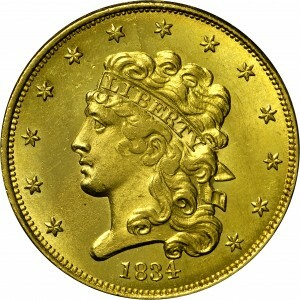 The head of Liberty is slightly modified and lower in the field, distant from the stars and very close to the date. 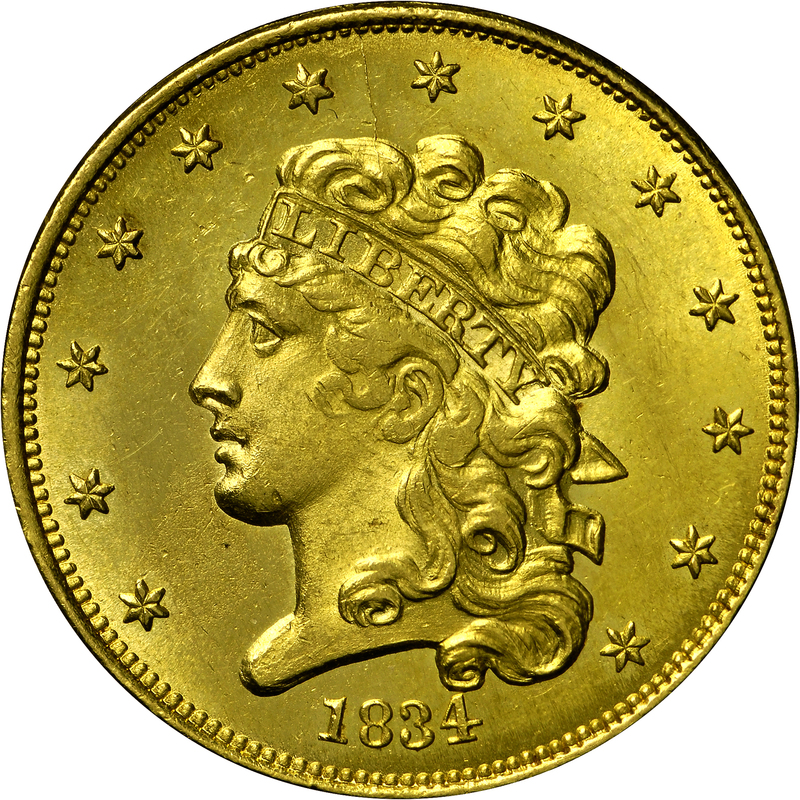 Most varieties of 1834 half eagle have a Plain 4 in the date, meaning the crossbar ends in a straight line at right. A rare variety has a Crosslet 4 in the date, with the right end of the crossbar ending in a vertical serif. Purchased from RARCOA, February 28, 1973. As preceding, with small plain 4 in date and minor differences. Lower edge of bust is nearly straight. "3(b)/B(b). 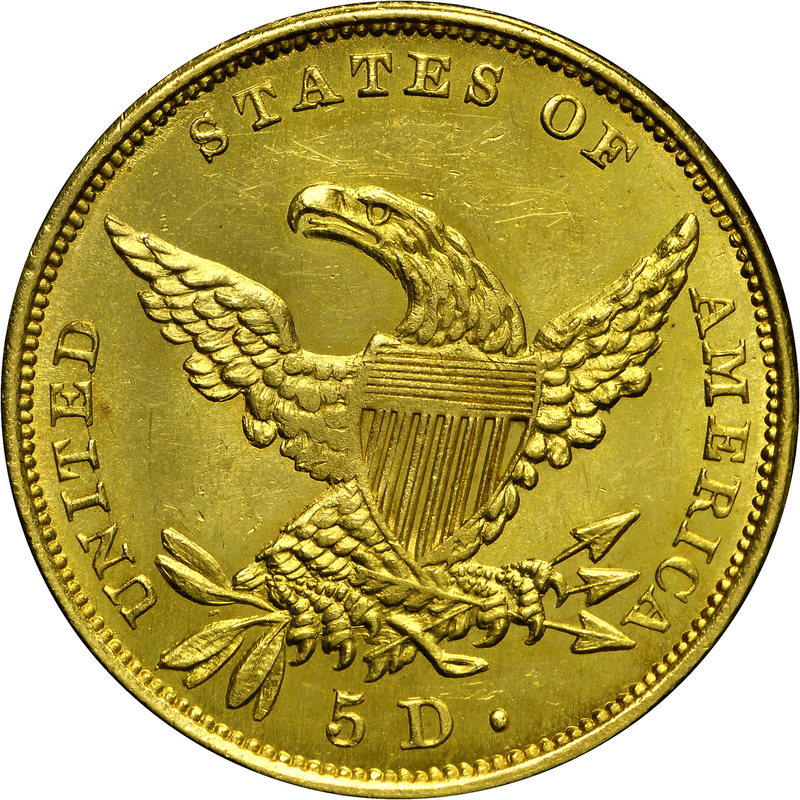 Obverse: Symmetrical 8. Truncation slightly curved. Slender 4, nearly touching curl. Crack: Edge - hair between stars 6 and 7. 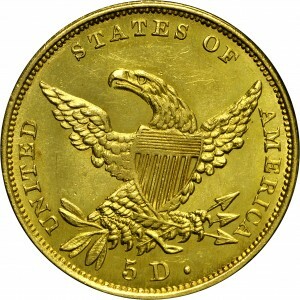 Reverse: Tongued eagle. Middle leaves droop. Top arrowhead long, slender. Period distant from D. Crack: NITED. Berry remnant between top and middle leaf pairs."